Ryan will pocket roughly $33.6 million–24% of the government’s $140 million share of the $171.9 million settlement, The Legal Intelligencer reports. Under the False Claims Act (FCA), whistleblowers can receive between 15% and 25% in cases where the government intervenes. The government would have preferred Ryan’s take-home be smaller; lawyers argued she should receive 19% of the federal recovery, according to the Intelligencer. But U.S. District Judge Robert F. Kelly said that her “extraordinary” contributions entitled her to more. Still confused how reporters and editors in the industry don’t know that the 24% is not taken from the full amount of $170 million. The U.S. Government arbitrarily decides how much of the $170 million is CMS related (Medicare & Medicaid) roughly 10%-15% and the whistleblower’s share (24% in this case) is based off that number and not the total number. So while reporters keep trying to vilify whistleblowers they’re forgetting to ask the real question, what’s the government doing with all that money? If Ms. Ryan got anywhere near the amount reported her share would have been closer to the 15% side and the idea they awarded her 24% means the DOJ recognized that a case going for nine years did not yield anything close to reasonable and working within the confines of the law awarded on the higher end. But let’s make the woman who helped the government for free for nine years look like the criminal, it’s so much easier than actual reporting. @MelaynaLokosky As I wrote in the story, it’s 24% of $140M, not the full $170M. I like the pearls on your blog though. 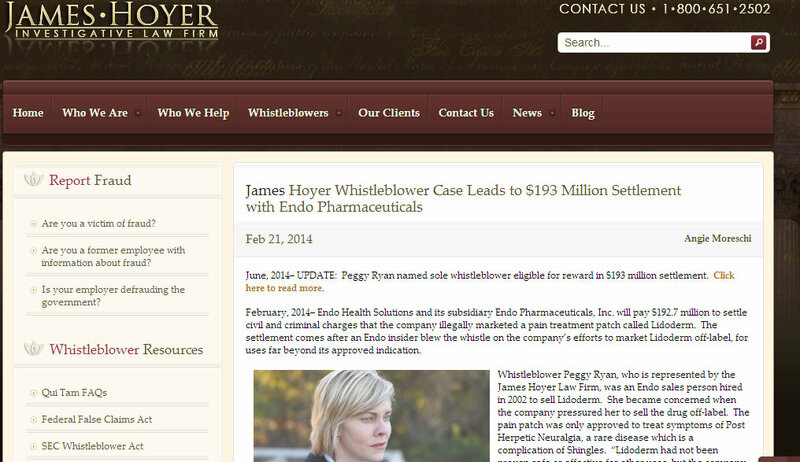 According to MarketWatch, Peggy Ryan, a former employee of Endo Health Solutions just ended a ten year-long battle working in conjunction with The Department of Justice in a whistleblower case for the company’s illegal off label marketing of Lidoderm (pain patch). But the episode is on track to end with a lot of money in Ryan’s bank account. It’s uneducated comments like that from reporter Al Lewis who buys into the DOJ’s PR Spin that make Ms. Ryan look greedy without truly understanding what she went through during those ten years or the facts. But that’s ok, just cut and paste from a press release. Let’s educate him, shall we? Damages are set into three buckets: Civil, Criminal and in most case a Retaliation claim against her former company. Even though she wore a wire for the FBI to help their criminal investigation she is only awarded federal damages from the Civil bucket. Her job was to get them enough information to obtain Grand Jury subpoenas for their Criminal investigation. On Monday, a federal judge ruled that Ryan is the sole whistleblower entitled to receive this award. (There were a couple of others who had piled in as well once Ryan got the case rolling.) The James Hoyer Law Firm of Tampa, Fla., which represented Ryan, will get a significant cut of her take. And fortunately she remained a top-performing sales rep at Endo throughout the entire ordeal, despite her refusal to sell Lidoderm for off-label uses. In her business, it’s sell or suffer the consequences. “When you are in sales, if you are not meeting your goals, or not obtaining your sales quotas, you’re out of there,” she said. Ryan uncovered an internal document that showed 95% of Endo’s Lidoderm patch sales were for off-label uses. Endo had taken a single drug approved for an obscure ailment and started selling to for almost every kind of pain. First 1/2 of the $172 million goes right back to the government (taxed in the top 1%). Yep you read that correctly. So we’re down to $86 million and then the government gets to arbitrarily decide just exactly how much of that is Medicare/Medicaid. Yep you read that correctly again. And that’s what the 15-25% is based off of not the total as is often incorrectly relayed. Who looks greedy now Mr. Lewis? Not the attorneys that worked 10 years and certainly not their client who risked her lively hood for the federal government. This numbers could be off a little one way or the other (likely less) but there isn’t a lot of transparency from the government and everyone is bound by confidentiality agreements which prevents accurate data from being released. Hey that sounds kind of familiar, doesn’t it? The government apparently will negotiate with terrorists but not whistleblowers, as Ms. Ryan likely had little to do with the criminal outcome. That doesn’t mean she didn’t have ideas or even requests; but, The Department of Justice depends upon whistleblowers to do their jobs (because they either messed up and approved a product that shouldn’t have been approved) or their lack awareness of the industry they regulate, but will not allow whistleblowers to help create deterring factors. That’s right give a little of that $172 million back to everyone if you want people to come forward. Any executives involved in the crime are not allowed to take titles off their resumes or company bios for the duration of their career in the industry (tied to crime forever). 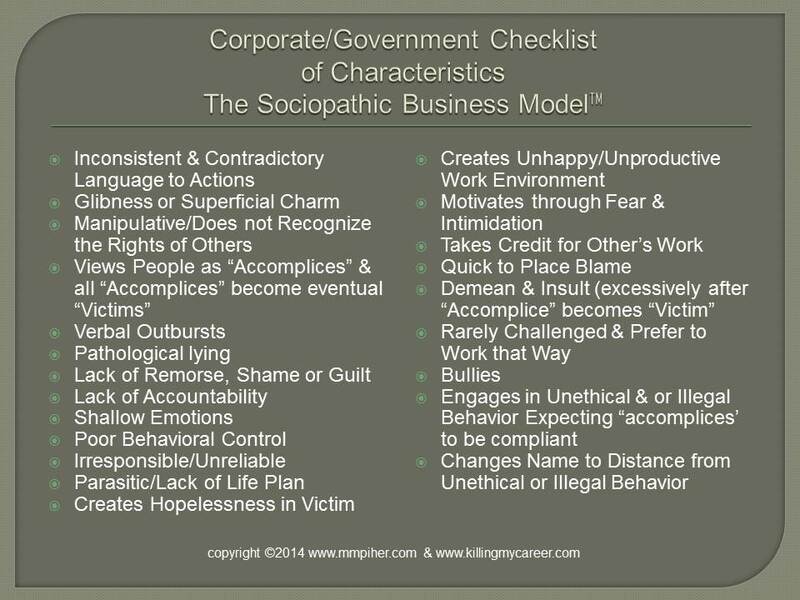 Executives and Managers excluded for CMS (Medicare/Medicaid) contracts for 10 years. 2million set into a non-profit. Every time the company has a criminal or civil fine over the next 10 years, 1 million is also automatically given to the foundation.